FREE Cinnamon Deodorizer Book any cleaning between now and the end of the year and get FREE cinnamon deodorizer in every room we clean ($50 value). You must present this coupon at the time of cleaning and call before December 31, 2017. 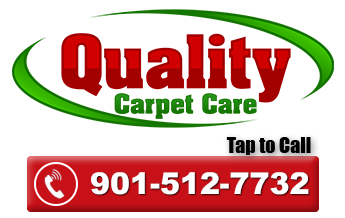 Call 901-512-7732 now. You love the warmth of your cozy home. You’ve spent weeks getting your home ready for this joyous season. Everything you’ve done has been time well spent. Joy is in the air. There’s something extra special about a beautifully kept home this time of year. Laying on fresh, clean carpet and rugs or walking on sparkling clean tile makes the holidays even more special. When we get ready for the holidays we not only make sure our home is clean but that it stays that way and that we are able to maintain the good condition of our house. The part of our home that will probably get the most wear in terms of usage will be our floors. It will also experience the most soiling and spills. During parties or guest visits the floor will definitely have its share of action so the following are tips to remember when these accidents do happen. Dust the area with cornstarch or baking soda then let it sit for about an hour and vacuum. Spray a dry cleaning solvent on a clean rag and use this to blot the area on the carpet with the stain. Keep blotting till the solvent is absorbed and the stain fades away. Afterward, dab the carpet with a water moistened rag to take out the solvent then dry the area by blotting it with dry paper towels. Opposite to most techniques for stain removal you have to wait till the wax hardens before you remove it. Once the wax cools, with a dull knife scrape off as much residue as you can. Next, cover the area with 2 sheets of paper towels one on top of the other and with a warm iron press on it. Be careful not to set the iron too hot as it might scorch the carpet fibers. Remove the paper towels and repeat the procedure with new towels until all the wax is removed. Should any wax still remain use some dry-cleaning solvent then blot off. Act immediately by scrapping as much of the chocolate off the area as possible. Utilizing a clean white rag apply dry cleaning liquid on the spot and blot. If after that a stain is still present use a mixture of one cup tepid water with a teaspoon of gentle dish washing detergent on it. Blotting the mixture from the outer portion of the stain toward the center, then follow on with rinsing the spot with water. Always blot with paper towels and do not use too much solution or water, do not soak the carpet. Dry the area by blotting it with dry towels and applying pressure. Repeat until it is as dry as you can make it then let it air dry or use a hair dryer. Yes, Christmas is a great time for getting your carpet cleaned. And don’t forget to consider the hiring of a professional carpet cleaning company every year. Carpet maker’s recommend yearly cleaning to keep your carpet maintained so it doesn’t get too soiled. Hurry, There’s Still Time! Book EARLY! We still have appointments left before the holidays. But please call 2 weeks before you want cleaning if possible. Call 901-512-7732 now. Your friends and family are thinking of pre-holiday cleaning too. When you refer them, you get 10% of their total cleaning to use for future cleanings or cash. Give your friends this newsletter or call us and we’ll send them a FREE copy of this newsletter so they can take advantage of the special offers above.